Eastern Mojave Vegetation Calle Sierpes. In late September, many the street shades are still in place. daughter drove us into the city center. 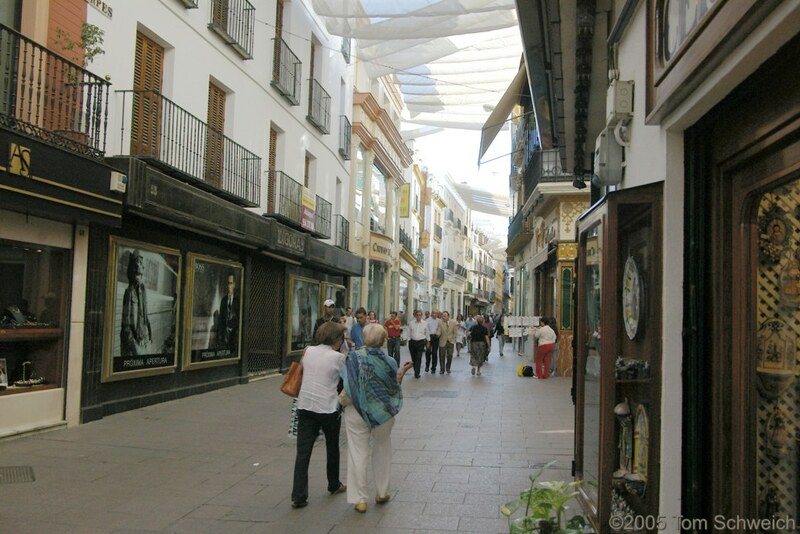 We walked past Plaza Nueva, and then onto the main shopping street, called "Sierpes." We bought a few souvenirs, and then had a coffee at a cafe. We tried for the toast with tomato puree here. Ordered "tostada con aciete y tomate." But when they brought the toast, it had thin slices of fried green tomatoes, instead of the tomato puree. That has a little disappointing.